Although you might need to rent a storage unit in a hurry, it will help you in the long run to take an organized approach on how to pack your storage unit. You don’t want to just randomly throw things in there and slammed the door shut. Here are some things to think about when it comes to packing your storage unit. It’s best to use boxes that are the same size. Those are always easier to stack. You also want to take a kind of peer amid approach with regard to wait. The heavy boxes need to be on the bottom to act as an anchor for everything above it. If you are renting a larger storage unit, then it will help to create walkways between your stuff. This is especially important if you want to retrieve some of these items during the time that you have them in storage. You don’t want to get into a situation where you have to pull everything out just to get to one box that’s in the back. If you are putting anything in storage that is primarily made from metal, then it would be smart to treat them with a rust protector oil. This is important for lawnmowers, file cabinets or any other type of metal furniture. Most storage facilities that you rent from are going to provide around the clock security. However, that is not a 100% guarantee against theft. If you are storing valuable items in your unit, then those should be in the back and harder to get to. You want to get the highest-quality lock that you could find to put on your unit. It would be even better if the lock didn’t have a hasp that a bowl clutter can reach through. You want to fill up your boxes to the top even if it’s just with padding. 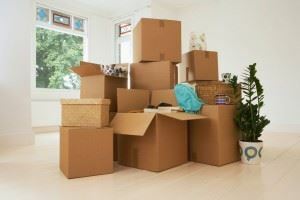 Any box that has empty space could be squashed from the box on top of it over a period of time. You also want to make sure you’re not packing up any useless clutter. When you go through all the things you want to pack up at your home, set aside the stuff that you know you’re not going to use again or you might consider trash. All of that can be turned over to Junk King Monterey. They’ll send over a friendly team of movers and a big truck able to accommodate whatever you want to get rid of. Hire Junk King Monterey to make sure your storage unit isn’t full of junk. This entry was posted in Monterey Junk Removal and tagged clutter, Junk King Monterey, Junk Removal, rubbish, storage unit on August 1, 2017 by Junk King. Last updated August 1, 2017 .